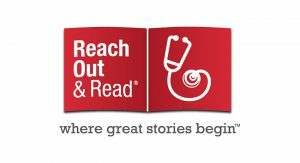 Reach Out and Read (ROR) prepares young children to succeed in school by incorporating books into pediatric care and encouraging families to read aloud together. The organization currently serves 4.5 million children, over half of whom are from low-income families. This grant supports ongoing implementation of ROR’s Early Math Initiative at current project sites in California and Minnesota. The Early Math Initiative trains medical providers to talk with families about the importance of early math for children’s school achievement, provide books with math themes to families, and give them ideas for incorporating math talk into reading time. This is the third grant the Foundation has awarded for these efforts, bringing our total support to more than $400,000. The Foundation’s grant to ROR is part of a cluster of grants awarded to family engagement programs to develop, test, and integrate early math learning in their usual family engagement activities. The other grantees include Abriendo Puertas, California Head Start Association, the Santa Clara County Office of Education, Bring Me A Book, and the YMCA of Silicon Valley.